For those interested in a rewarding career with plenty of job opportunities and good pay, pipefitter training may be worth investigating. Job growth for pipefitters is projected to increase 21 percent by 2022 1—faster than the national average—in large part due to an increase in construction projects. However, as the equipment, codes, and technologies of the pipefitting industry continue to evolve, it will be more important than ever to keep one’s skills current with training and specialized certifications. Not sure what certifications a pipefitting career requires? Read on to learn about the career path of a pipefitter. Although the terms pipefitter and welder are often used interchangeably, they represent two unique skilled trades jobs with separate training and certifications. 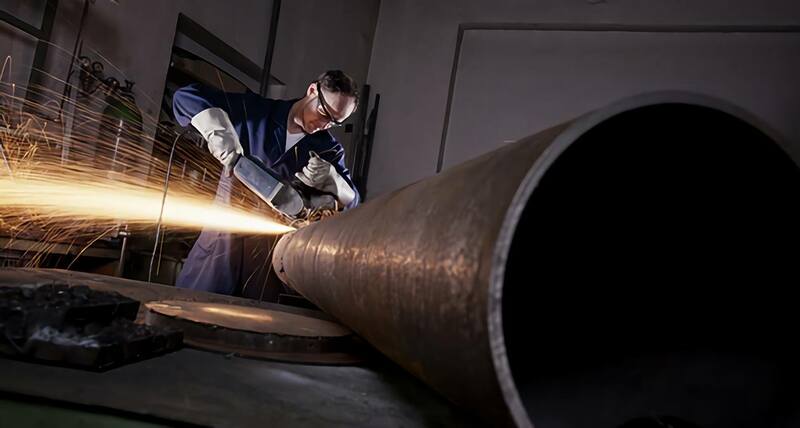 While some welders are also pipefitters, and some pipefitters are also welders, the job description for each is different: welders work with metal parts and fuse them together, while pipefitters focus on joining pipes by threading them together. The Bureau of Labor Statistics defines pipefitters as those who install and maintain industrial pipes that carry chemicals, acids, or gases. These types of pipes are mostly used in manufacturing, commercial, and industrial settings. Pipefitters will often install and repair pipe systems in places such as power plants, and may also work on heating and cooling systems in large office buildings. Only a few states require pipefitters to be licensed or certified. Even when not required by the state, some pipefitters seek certifications in order to be legally permitted to work without supervision and to train and supervise apprentices. There are certain steps a person must take in order to become eligible for licensure or certification. Vocational School: Individuals who complete pipefitting training leave with a diverse skillset and strong credentials, which oftentimes leads to better apprenticeship opportunities. While a community college program can be completed in approximately one year, vocational schools generally provide a faster track. For example, Tulsa Welding School offers a pipefitting program that can be completed in less than seven months. Apprenticeship: Upon receiving the requisite training, trainees generally work as an apprentice under the supervision of a licensed pipefitter. State requirements vary, with some apprenticeships lasting up to five years. Certification: After completing an apprenticeship, a pipefitter is eligible to take an exam and receive a STAR Steamfitting-Pipefitting Mastery certification from National Inspection Testing Certification (NITC), a third-party provider of certification services to the piping industry. Given the increasing complexity and challenges of modern pipefitting, validating one’s skills through certifications will increase access to the best job opportunities and compensation. Anyone wishing to enter this growing field can get their start at Tulsa Welding School. In less than seven months you can be on your way to a rewarding and promising career.